Being a newborn photographer Dothan Alabama is amazing. We have the best weather and locations here in our beautiful little southern city. 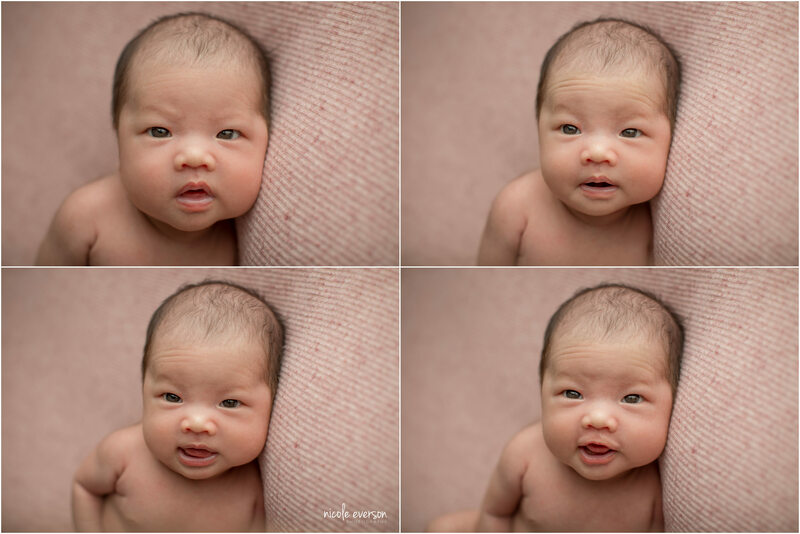 Being a newborn photographer for the last 10 years has taught me many things. The first is patience. I like to think I am the boss but as any newborn photographer will tell you these babies run the photoshoot. 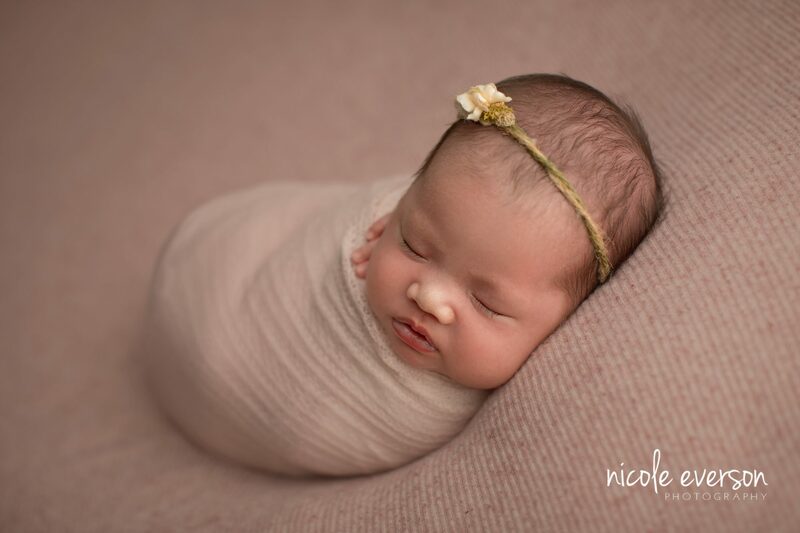 She had me in photography heaven when her mamma requested an in studio and outside newborn photoshoot. 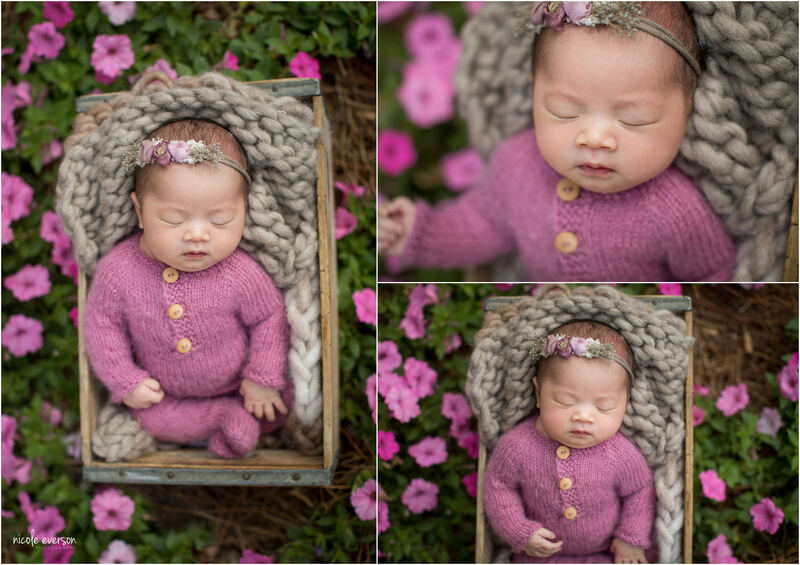 I LOVE photographing babies and newborns outside in my studios flower gardens. Something about a sweet baby girl all snuggled up surrounded by flowers and everything God created feels so right to me. This sweet snuggle bug melted my heart. She was so good for me and loved being outside. I could have kissed her all day long. Mom requested mostly neutral setups. She loves pinks, creams, grey and peaches. I love how stunning these colors look with her yummy newborn skin. I am obsessed with how a newborn smells. That sweet new scent of a newborns skin melts this mommas heart. I LOVEEEEEEEE taking photographing newborns with parents. Most moms are not really feeling very camera ready just 7-10 days after giving birth. But I always love the magic I am able to photograph when they trust me. 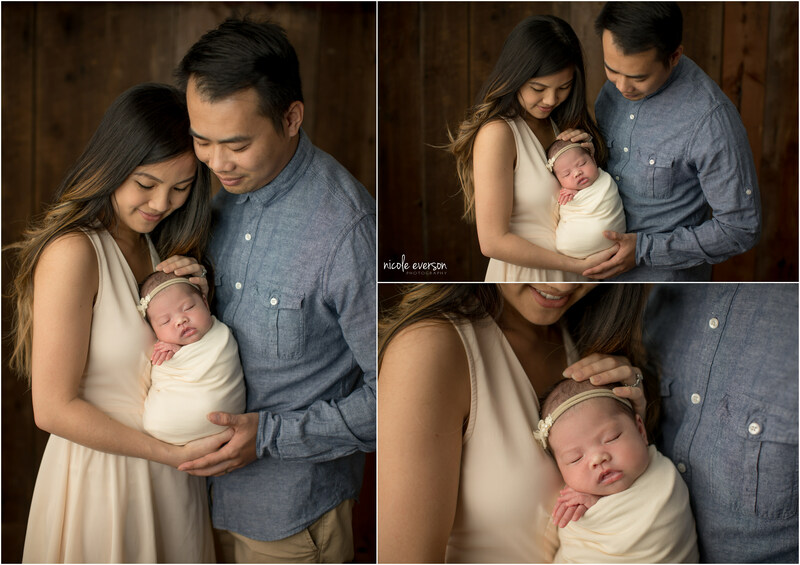 A newborn photographer is so much more than just taking a pretty picture of your new baby. It’s photographing every tiny newborn detail. Capturing the love of a new mother. Freezing the joy of parenthood. Every photograph is meant to invoke a memory of these first few days of your new babies life. So sweet! What a peaceful little one! Love the hand and foot placement. She has the cutest little button nose! Love these! What an amazing collection of images! Your work is truly beautiful and inspiring. Your clients are so lucky to have your talent nearby! What a beautiful baby girl!! Mom and dad must of been so excited seeing this gorgeous gallery!